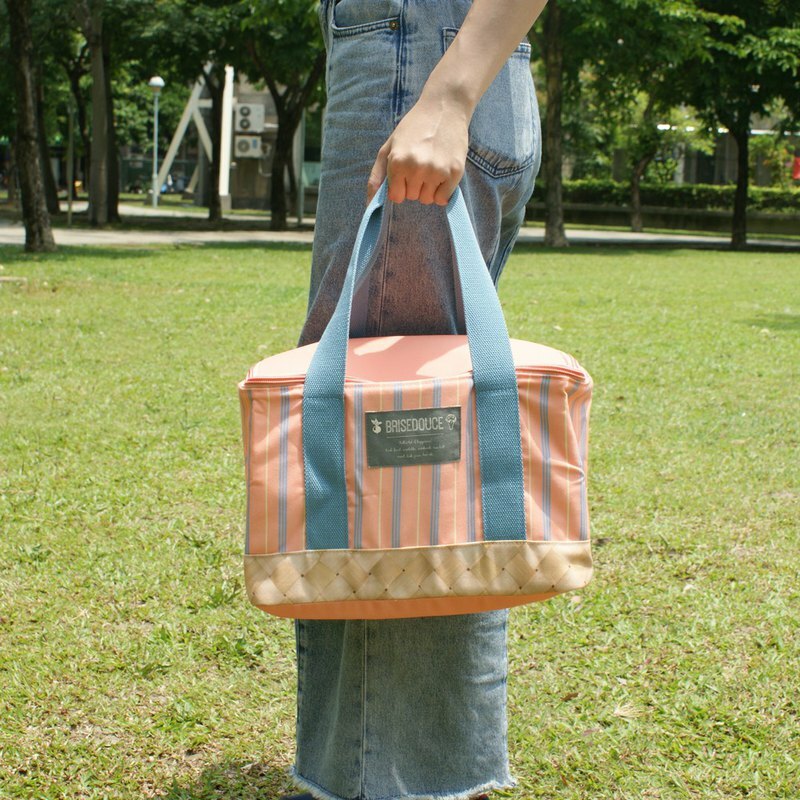 **[DESTINO STYLE] Japan BRISEDOUCE Straight Stripe Folding Picnic Bag BRISEDOUCE Cooler Bag BSK** https://c1.staticflickr.com/1/937/29773493748_98bdb6ff32_c.jpg Bamboo weave x striped cloth Take off the new cool summer A picnic bag made up of bamboo baskets and striped fabrics gives a little refreshing sensation in the warm sunshine, and makes the monotonous picnic bag vivid in everyday life. The surface layer is actually a single material, which is convenient and lightweight to use or store. The outer layer of water repellent and antifouling treatment is not easy to be soiled when used; the inner layer insulation (cold) design makes the convenience, food preservation and non-corrosion. Large capacity for food and tableware. Give him a picnic and set off immediately. /Features / -Imitated bamboo basket and striped composite visual effects - outer layer water repellent antifouling, good cleaning - lining insulation (ice) - large space, large capacity - Portable/shoulder -Easy storage does not take up space https://c1.staticflickr.com/1/918/42926620974_438d6b1f16_c.jpg * Foldable storage, not afraid of taking up space at home outdoors. https://c1.staticflickr.com/1/930/42739826825_03a2de70f4_c.jpg * Large capacity, easy to put into a three-tier picnic box and two double-layer curved straw cups, and a compartment to accommodate tableware. /specification/ Material: surface layer - 100% polyester Inner layer - foamed polyethylene Size: W31 xD21 xH20 cm Weight: 280g made in China / style / **Pink orange K04-5153** https://c1.staticflickr.com/1/933/41835697290_185023d12f_c.jpg **Gray-green K04-5154** https://c1.staticflickr.com/1/853/42739826445_60a5391a0c_c.jpg https://c1.staticflickr.com/1/931/42927784744_cca44a0940_c.jpg /Precautions/ -Because each computer display has a color difference, the color of the actual received product is the main one.